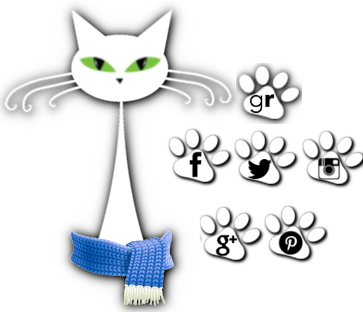 herding cats & burning soup: No Attachments (Woodfalls Girls #1) by Tiffany King + a wee bonus mini review! No Attachments (Woodfalls Girls #1) by Tiffany King + a wee bonus mini review! I've had No Attachments for a while now and for some reason decided today was the day to pick it up. And what a lovely surprise it turned out to be. A bit heartbreaking, a bit fun, some steamy happening and a romance that snuck up on two people and gave them something to hold on to when life got hard. How could that not be a simply amazing journey? The quick of it is that Ashton has run from her life. Dropped all ties and ran until she found a small town she hoped to have an adventure in and where she could knock some items off of her bucket list. Including having a one night stand with a stranger. Just so happens that stranger had been hired to find her by someone in her previous life. Ooos messy! Ashton and Nathan were quite the pair. They just seemed to feed off of each other--in a good way. Could be a little silly now and again, sparked a romantic flair in one another and totally flustered each other in such a funny way. The two set out to have one night together and the nookie Fates totally screwed with them. I mean if a date/night could go wrong...it did. A little too much to drink, maybe an allergy rearing it's breath stealing head, freak rain showers. I mean. Blue balls were happening pretty much every time poor Nathan turned the corner and tried to spend a little sheet time with Ashton. "It's snowing," she crowed, clapping her hands with glee. "I'm taking it you feel better?" I asked, chuckling at her enthusiasm. "Much. We have to go out and play in the snow," she said, frantically pulling warm clothes out of her wardrobe. "I don't think it's going anywhere, sweets," I said, placing my hands on her to still her frantic movements. "Oh, you're naked," she said, stating the obvious as her eyes darted down to my morning companion. "Yeah, we sort of went to bed that way," I teased, watching as a delicate shade of pink crept up her neck, staining her cheeks. "Does it make you uncomfortable?" I asked. "What? No, it's just like, you know, 'Ta-da. Here I am.' It threw me off," she stumbled out. "Well, for your information, this is pretty common for most guys in the morning." "Really? How unfortunate," she said. "Get dressed," I laughed. "The snow is calling your name." "Snow?" she said, looking momentarily confused. "Right, snow," she said finally, making me laugh again as she hurried off to the bathroom with an armload of clothes. There was a lot of humor mixed into their relationship even though there were also some pretty serious things happening in the background. Things focused pretty much on the two getting to know each other while "not getting attached" ::snort:: and Ashton experiencing live and adventures as she worked her way through her bucket list until time ran out and her past came into play. The second half of the book--as they dealt with what has sent her running--was hard to read. I mean it had my throat tight and my guts churning and worried as all hell things might not turn out okay. I was really amazed how much King had me invested in these two. All in all, No Attachments was a fast read that touched my heart. I would have liked just a wee bit more there at the end I think--things wrapped up a bit too quickly for me--but even so I enjoyed Ashton and Nathan's journey and seeing how things played out for them. Aaaaand a little bonus review. 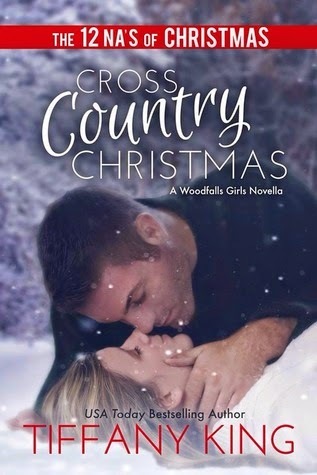 As soon as I finished No Attachments I decided to look up the rest of the series and seeing a little novella Cross Country Christmas I just couldn't resist. It was such a cute light hearted Christmas read as Jamie and Grant--who grew up together and totally crushed on each other--are on a fateful flight that crashes on take off and lands them smack together as they try to make it home for Christmas and agree to drive the 900 miles together. And, lordy. This was some trip! Full of fumbles and mishaps and all kinds of obstacles that totally had me chuckling and sympathizing with their ordeal. Have you read King? What did you think? What's the last read that really got you invested and churned up over the characters?